After doing my Tie-ing it all together lamp upcycling project, I had plenty of thrifted men’s neckties left over. I had bought more than I needed because I wasn’t sure which ones would go together and how many I would need. They have been sitting in a bag in my crafts room ever since then. ‘What can one possibly do with all of these neckties?’ I thought. 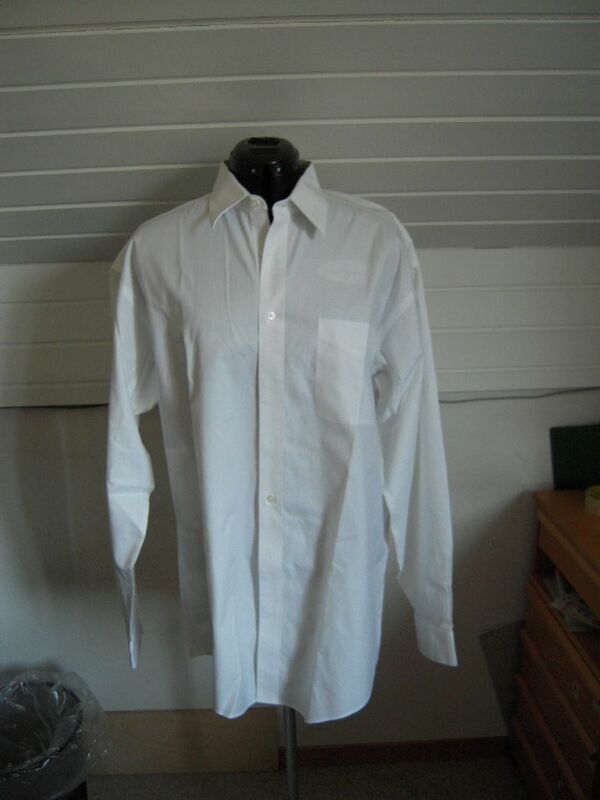 Well, luckily, I also had this white men’s button-down shirt waiting in my refashioning pile…and summer is coming…so an idea was born. I would make a feminine tank top using the necktie as straps. First, I decided to dye the shirt—along with a few other pieces—a “cobalt” blue. I don’t know about you, but when I picture cobalt blue, I imagine something very bright and vivid. Although the shirt came out well, the color didn’t come out as vibrant as I had hoped. 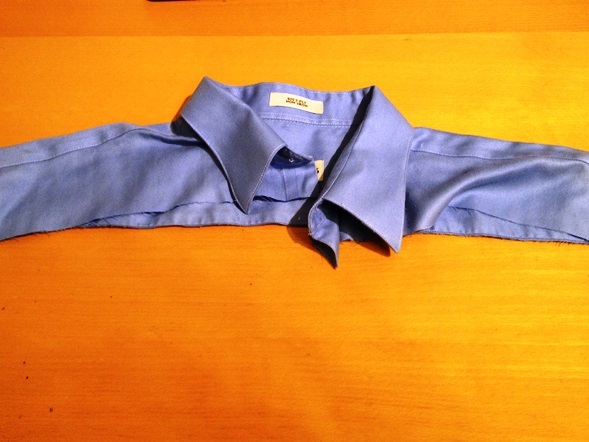 In fact, the shirt ended up looking like “any old” blue men’s shirt. No matter. I had a plan. I detached the sleeves using my seam ripper. I snipped approximately 1 1/2 inches down from the shoulders, across the shirt from armhole to armhole (cutting off the collar). I made a tunnel seam across the chest and back. I formed the wide end of the tie into a bow shape by folding it back and forth into a “Z” shape. To hold the bow, I cut off a part of the narrow end of the tie, wrapped it around the center of the “Z” and stitched it by hand to hold it in place. Finally, I attached a button to the bottom of the bow and made a buttonhole in the remaining part of the thin end of the tie. 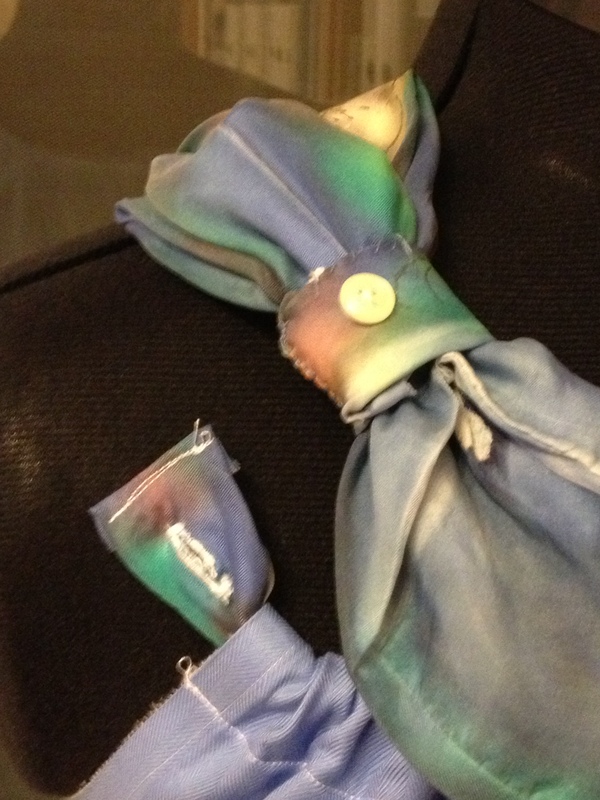 I attached the button that was leftover from the collar of the shirt onto the underside of the bow. Then I fed the tie through the tunnel, starting at the back, so that the bow ended up on the shoulder. Unfortunately, the entire shirt was still very large on me—something I hadn’t considered. 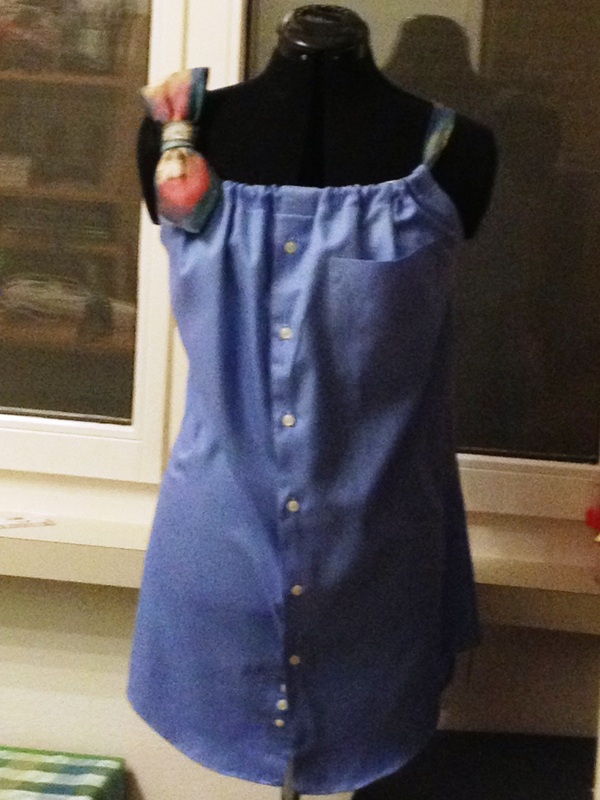 So I followed this tutorial from Colleterie on how to make darts in a shirt. I made two double-point darts in the back to help it fit better. And voila: a nice feminine tunic for the summer. The book referred to might be worth a read. This is a very important article. Thanks for posting this. It’s not just China—also Bangladesh.